Three leaf clovers in blue. Four leaf clovers in green. 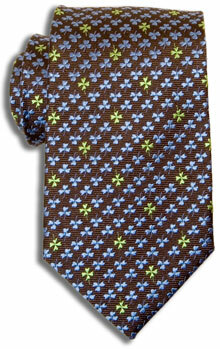 Wear this tie...and get lucky. 100% woven silk. Made by hand.